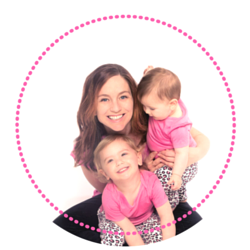 As a Feeding Specialist, I have written a few blog posts that cover some of the most frequently asked questions by parents. I hope these can answer some of your questions. Please leave your email address below to get more valuable information directly to your inbox. Should I hide vegetables from my fussy kids? In a nutshell – Yes and No. I love to make vegetables portable so that we get to (or closer) to our vegetable RDI – this often means baking them into muffins, slices or adding them to pasta sauces. Yet, I don’t agree with intentional deception – this leads to exacerbating the problem. You are best to be honest and help your child focus on the tangible aspects of their food when they have questions about it. Presenting vegetables in their usual state is vital for their learning, tolerating, accepting, exploring and then eating of the vegetables. Should I send my child to bed hungry if they won’t eat their dinner? In some instances, it is definitely warranted. This links to my blog post posing 7 questions that you must ask yourself truthfully in order to find the right answer for your situation. I am not sure if I need to get additional assistance for my fussy eater? It is a very difficult decision to make regarding when to get help. The red flags I list in this article help you decide on the best course of action in your circumstance. If you are still unsure if you have a “problem feeder” and finding a full therapy program is required, book in to see Simone for a play date or Skype consult. 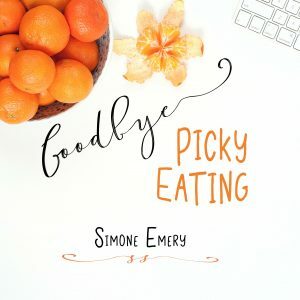 The play date is a great way to get the ball rolling and Simone has a network of referral sources that she can help you with too. You aren’t alone. I also co-administer a private Facebook group with Jo Cormack from Emotionally Aware Feeding – you can request to join here at any time. What can I do if my child has gone off eating meat? A meat aversion can be somewhat typcial for a young child due to the extra work that is required to bite, pull-at, chew, form a bolus and swallow meats. From a sensory point of view and an oral motor effort point of view, it’s often deemed “not worth it”. They also come with bigger smells or in mixed texture foods – both of which have a big sensory demand on kids. Try these tips and my recipe for chicken and chia meatballs or this recipe for Central American style shredded chicken. 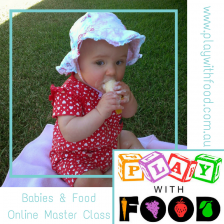 I also cover this in the video aimed at toddler feeding behaviours that I filmed with Meg McClintock from Choose Nutrition (Accredited Practicing Dietitian). The video is especially pertinent if it seems like your child just turned up the fussy dial one day and you’ve been chasing your tail ever since. How can I get my child ready for dinner time (without a tantrum)? A pre-dinner routine is essential for helping your child get ready for the task ahead. 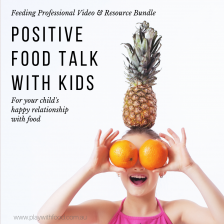 This post also comes with a free printable for fruit and vegetable inspired kids yoga poses. 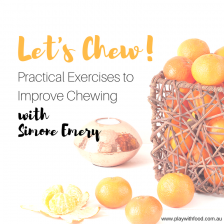 My child won’t sit still at the table – Try some sensory system engaging activity first and make sure they are ergonomically and environmentally set for success. 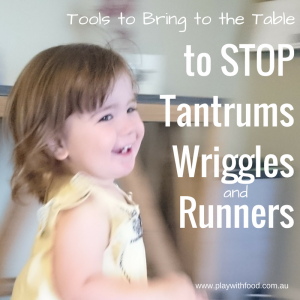 This post is all about runners, wiggles and tantrums! It’s a great one for getting some extra tools on your side. What vitamins does my fussy eater need? I sit with Meg McClintock and chat about what you should consider first. How am I going to cope now that I have a newborn and a fussy older child? This post outlines 11 tips I have documented from my own life in the sleep-deprived trenches and these are the everyday ideas that helped me get through it. Some of my tips may surprise you – especially as most of them aren’t about the foods on offer. 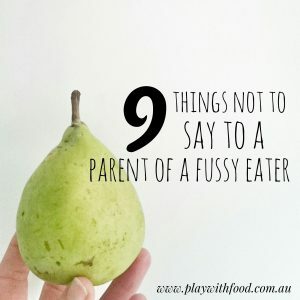 Most importantly (and I’m not sure why I put it last on the list) – This post includes my top 9 things that you should not (EVER) say to a parent with a fussy eater. You have got this. You aren’t alone. You may want some tissues and to passively aggressively share this on all of your social media platforms. I am so, so glad you are here!